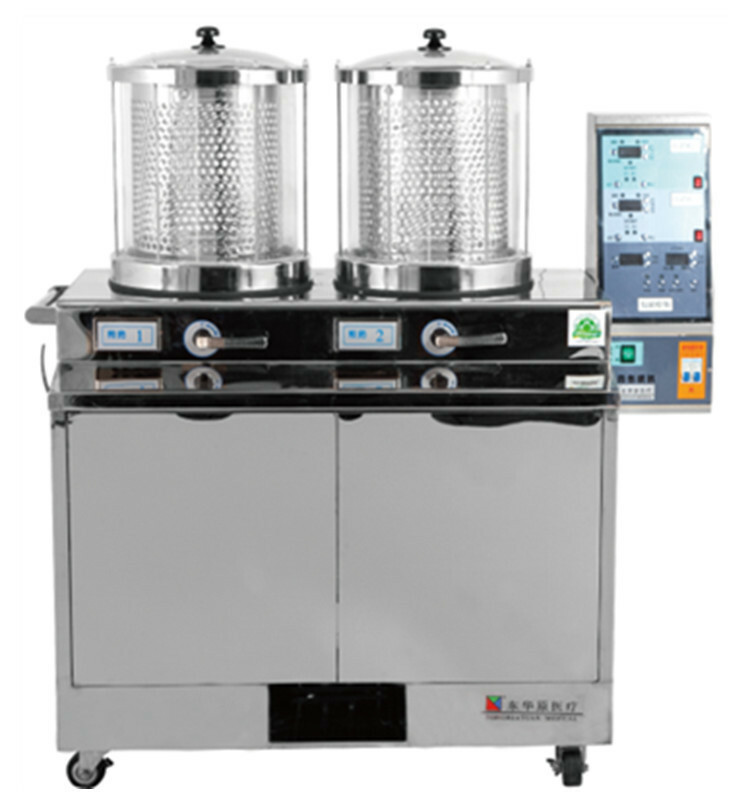 Beijing Donghuayuan Medical Equipment Co.,Ltd is one of the top level China normal atmosphere decocting machines manufacturers and factory with leading company normal atmosphere decocting machines and meidical equipments and health product NO.1 normal atmosphere decoction machines with CE, welcome to buy our cheap and famous products. 1. Decoction and packaging integrated combination, compact structure, nice shape, saving space. 2. Cook 1-3 dosages at the same time, 3-12 dosages in one cooking pot. 3. High presicion digital control technique. 4. Automatic switchover between strong fire and slow fire. 5. Automatically display the time of high temperature (boiling time). 6. Glass-made cylinder makes decoction process clearly visible. 7. Register capital of 20 million RMB. Pass ISO9001, ISO 13485 .